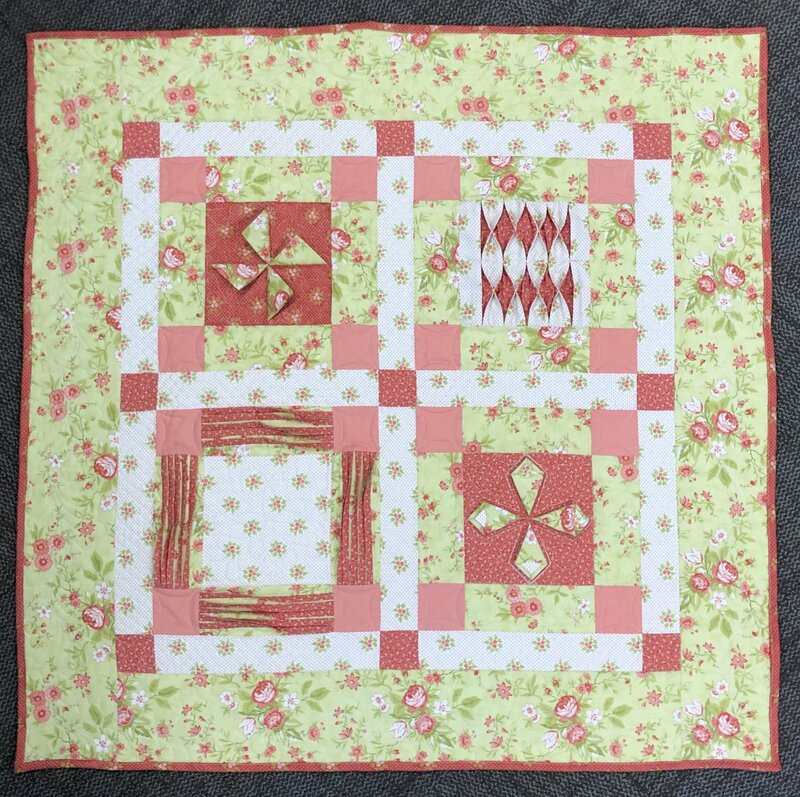 3-D pinwheel block, a wave block, a stunning trumpet block and my personal favorite~ the pleat block that lends to old fashioned pin tucking- its also 3-D and simply gorgeous!!! 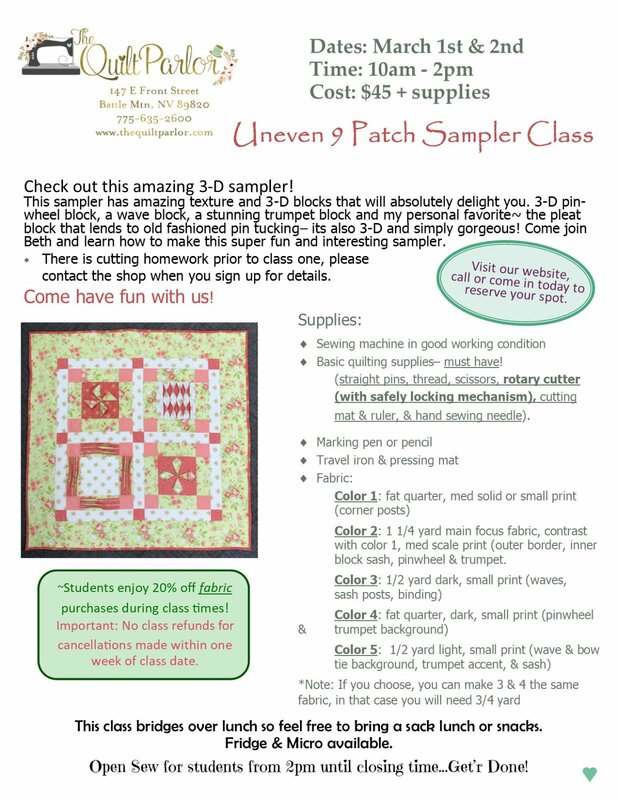 Come join Beth and learn how to make this super fun and interesting sampler. There is cutting homework prior to class one, please contact the shop when you sign up for details.